Last week, while I was at JavaOne, I had the opportunity to chat with Marina Sum, and our conversation about OpenDS turned into a interview published on Java.net. 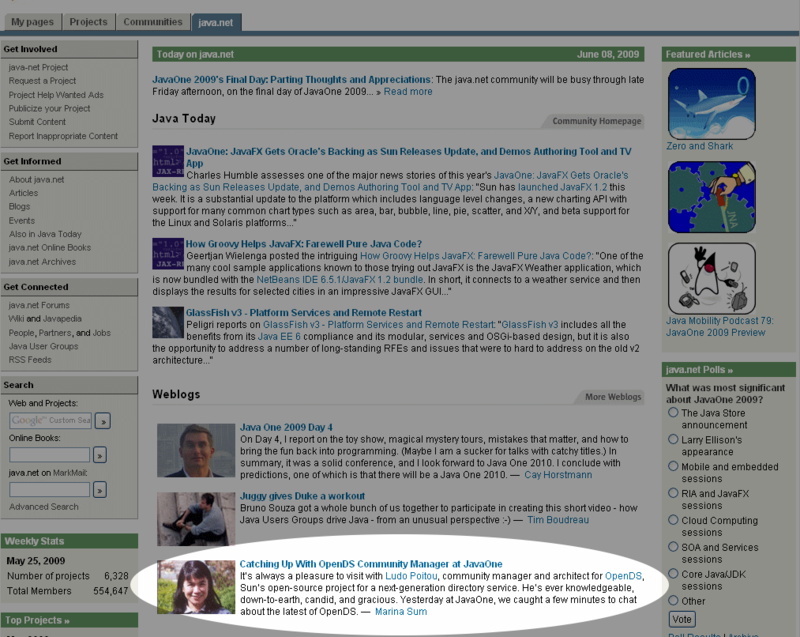 And as like most of Marina’s post on Java.net, the interview was highlighted on Java.net front page on June 8th. Marina is still looking for a new harbor to keep expressing her talent. If you need a talented and passionate technical writer, you should definitely give her a chance.